Narayana's Overflowing Vessel: Who Knew a Mental Health Congress Could be so Fun?! Who Knew a Mental Health Congress Could be so Fun?! Today I am still sitting with the effects of having attended the Mental Health Congress hosted by Narayana Publishers. 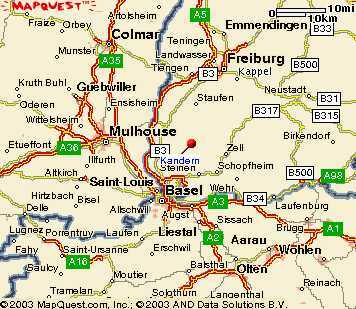 It was their second one and was held March 8th – 10th, 2013 in Bad Krozingen, Germany, near to their Publishing House in Kandern. I use none of the above words lightly. “Effects” as it is a multifaceted response that I had to a very stimulating experience that all of my being was effected by in many ways. “Hosted” as it was a feat that was not much unlike a huge birthday party, this event, that the Narayana team pulled off without any hitches from what I could see. Simply a beautiful experience. Originally, I had the inkling I would be writing on the seminar itself and some info on extras that were highlights but now I wanna shout from a mountain top (in the Alps;-) on the merits of attending such an event to all of you, my dear gentle readers: wake up and smell the German Coffee, which is darn good stuff! For the sake of appearing sane, however, I will go about this in an orderly fashion. 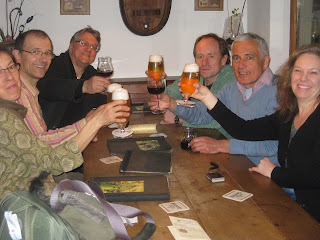 i) Rating of Location – ie – my Fanatastic Trip to Germany, albeit limited in time and space. ii) Narayana Verlag Backgrd Review – like, why I love my people so much more than expected! Firstly,I should establish I have been with Narayana as their North American customer rep for just over a couple of years and all my dealings with them have been lovely, but still did not prepare me for what proved to be the most wonderful trip, seminar and hospitatility I have experienced as an employee, a homeopath and as a human being. It was admittedly getting weird that I had not met the publishers I talk with via Skype and in email and some phone calls, so to have broken the sound barrier and have a face to face was normalizing – and what better way then to see them in action. Although they are publishers they shine with their event organizing. They have hosted other Congresses, with sometimes a handful of speakers or a singular homeopath and at other times with one topic just as with this Mental Health Congress with a number of speakers. What these represent for me is the bringing together of Homeopathy as a global community - all manner of Homeopathy gets exposure that focuses on moving us into the 21st century and helping our modern day patients. This Congress reflected this intent very well by way of the presenters invited to participate. Everyone in attendance and the speakers sensed that this is what the Congress was aiming for - interestingly the topic is one that would highlight the urgency we have to address the ills of our society as Mental Health is something that we can all, unfortuately, say we are seeing more of in our practices - mental illness is so very prevalent and pervasive in all parts of the world, yet so stigmatized still. Likely the reason there's an increase to more hidden forms of it....or should I say more acceptable ways of being insane! For various reasons everyone was flocking there at once – it was like a pilgrimage for me personally, but for many others as well it seemed. Hold onto your hats folks! – 500 Homeopaths in attendance! And if that was not enough, the participants represented 31 countries!! Narayana's first Mental Health Congress was successful but this was remarkable in terms of numbers. There was anyone from the lone homeopath from Gabon, who was such a lovely man, to the 50 French Homeopaths that made their presence felt just by sheer numbers. I love hearing French spoken as it is such a lovely language, Romance languages are, well, romantic sounding. I ate lunch the first day with 2 Brazillians and my Canadian travel companion as well as 2 German Homeopaths - there were Homeopaths from Japan I chatted with, the UK, Eastern Europe and India - Down Under? I wonder....as the sheer numbers were so big it was hard to chat with everyone...but I did at some point cover alot of the people as I assisted behind the English Book Table in the foyer during breaks - this gave me a sense of what schools of thought, practice circumstances and more was being drawn to this Congress. Speaking of roads, I spent the whole time stumbling about not only in awe of the event for the Homeopathy factor but, really in terms of a trip I totally enjoyed myself at every turn: the streets of Bad Krozingen are twisting and turning and one could easily – as I did – be lost in familiar streets;-) Mind you, I was not lost in familiar streets but, always in the end, in the unfamiliar streets I got to where I needed to be. 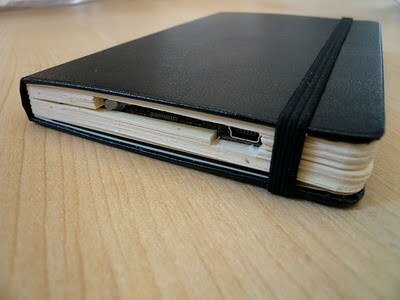 1) So, officially I am addressing at this point the first item of my piece, the Location. I have never been anywhere near the Black Forest in my life before this – known as Schwarzwald in German. In all honestly, for the first year in my work with Narayana I could not envision where they were located...for me they were in Germany and not in Berlin or any other German city that I knew of. As time wore on I got to being curious and with looking at the pics of their previous Congresses (seminars as we call them), shots they shared by email with me of their hikes (they go for walks in idyllic settings, that looked to me staged! ), and then finally taking the initiative of looking at maps, etc. of where Kandern was. Finally I started to get a sense of how their location was really integral to what they are about. Germany, Homeopathy, get that? Remote quiet village tucked in mountains and very natural, healthy, got that worked out….and then re- Congresses in neighbouring town as there are amenities to host and pull off the feats they do (officially Bad Krozingen is a village, but for me that word reminds me of pioneer days...so hard to grasp that villages exist in Western countries – sorry to be so out to lunch on this)….but what I had come to realize is that they do what they do - beautiful publishing projects, Spectrum journal and Interhomeopathy and these Congresses, because they are grounded folks...secure in their position, literally, in a wonderful building, their gorgeous publishing house, and in a peaceful and very natural and clean setting...environmentally it is simply lovely. I think the best way to convey what I am talking about is to just show you my trip pics - a Facebook Album. I was snapping photos all throughout and as they say, a picture is worth a thousand words....and I did add captions, maybe not a thousand but enough hopefully to give you the gist of what I experienced. Laura's Personal Pics from her FaceBook Album. Because I was just flying in and out I did not get to travel in the area unlike my colleague, Lynn Comeau a wonderful Homeopath from South Western Ontario Canada that I convinced to do this when we were sitting at Scholten seminar in Toronto last fall...she stayed on for a week and did a driving trip of what is called the Romantic Road. In any German Travel Guide Book and online you can find the info on 3 such driving trips in Schwarzwald (can be done by bike or train/bus as well I believe). I am interested to try the Fairy Tale Road for a family vacation, based on Grimms Fairy Tales. Mind you at this time of year one can ski - either in Austria, Switzerland or Germany itself. In fact I have learned that the first ski "hill" in Europe was in fact in Germany and from the Narayana folks/Congress locations about an hours drive or so from what I can gather looking at a map. The mountain/resort is called Feldberg and for those of you who are Cdn its elevation is 1,493 metres and for those using the Imperial system of measure it is 4,898 feet high. Nice eh? There is a Ski Shuttlebus that I got a pamphlet for at the train station in Bad Krozingen and saw as well in the Basel Switzerland train station (only 30 or minutes apart)....everything is so close and so one can hop on a train and be out of the country....you can see the airport nearest the Congress was on border of France, Switzerland and Germany. The Black Forest as with Bavaria (where Munich Octoberfest takes place - just to situate you) borders Austria too and so if skiing is your thing you are good to go! Last couple things on location to mention: I would rate the accomodation situation as being tops re- price, cleanliness and comfort. The "village" seems to be set up for Homeopathy Seminars....hosted by Narayana. They are 30 - 40 minutes away and some of the publishers just stay put in Bad Krozingen throughout the Congress while others just drive to their Publishing House while staff hop over to their neighbouring villages at days end...in fact one of the highlights of going to their seminars is that you get to go there too (not their homes, but the Publishing House...). They host a beautiful Open House Reception with food/wine and books, books, books - so, buy direct out of the warehouse (but not a North American style warehouse at all). Oops, went on a winding road trip to the Open House, literally. My pics don't convey it well, so here are the pics from Narayana website they just put up. You can see a full array of shots that cover events that I was busy sipping, eating or chatting at and forgot to take photos (I was always putting something in my mouth it seemed....sort of like when you want to take a Homeopathic remedy!). Bonus too: a great 6 minute video covering it but with delightful candid footage of homeopaths saying why they were enjoying themselves. Back to the topic of the Location of the Seminar -- on Accomodation...the same link on their website for all their Congresses is just the local tourist board info but a good start. You can just use TripAdvisor and Bookings.com, etc. as well to make arrangements -- what we did (last minute so our place was a 30 minute instead of 5 or 10 minute walk to the facility for the seminar, next time will be booking when get my flight booked)....so, really no need to rent a car or anything, you can just shuttle bus from airport (info is shared by Narayana when you register/on their site as well)...or do the train as I did since this is my preferred mode of transpo and I just had my small wheely suitcase. I was set to sit and stare out the window (but typical of me, I ended up chatting with local German woman from the area, Baden Baden, that was returning to her hometown after living abroad in Lebanon for almost 20 years - her life story was fasinating and she is now thinking of trying Homeopathy to make the adjustment back into her new mid-life changes and deal with grief as her husband had passed away in the last year...so in effect I was helping this German woman understand on the benefits of Homeopathy, what can I say!). Currently on the website you will see info on all the Congresses they have held since 2009 (around when they embarked on doing these formally). Also, you can see the next 2 upcoming seminars they are hosting. Their 3rd Veterinary Congress for this month with a number of outstanding presenters & also one with just Peter Tumminello of Australia on the Precious Gems in Homeopathy - here they hold the seminar in Kandern and you can see the links on Accomodation and Transpo details and such so you can make arrangements. What else was I wanting to convey about Location: oh yes, how could I forget - the area is famous for it's thermal waters and although Hahnemann was against them just as he was coffee (which, incidently is great stuff in Germany) I say get thee to the spa. So be sure to check out the Vita Classica of Bad Krozingen or other thermal baths in the Black Forest (not one of the Road Trips, but could be - just hop town to town getting spa treatments.). I went on my last night...there are 7 pools as well as amenities (my new word) like treatments and such AND the price is right folks: $20 bucks approximately to get in, with towel and nice clean locker....and there is cafe with food and beer as well (maybe Hahnemann would approve of the beer if there are no preservatives?!). So, there you have it on Location. Oh, the city of Freiburg is not far so you can go there for a dinner one evening too....some people did. There were a couple of American Homeopaths there with their husbands and I recall they did this. It has Germany's oldest University there, was founded as a town in 1120, and is now the world's greenest city - packed with history and gorgeous from what I can see online and from reading my Travel Guidebooks. Alas, next time. 2) Next Item to be covered in my report to you on my trip - The Narayana People...I realize that I have not shared much on them in this Blog - However, I think I will only say a little here only because I think I will do a posting on them in future as their story is unique...simply lovely - their Publishing House really unfolded organically and they come from a place of good intentions that what they do is truly a labour of love and needs to be explored fully another time. Suffice it to say this: Narayana originally was Herbert Sigwart and Ulrich Welte - they were med students and in 1973 and 1974 they presented on Homeopathy as they learned about it to a large German medical student organization's Congress (there's that word again - seminar for us)...ironically in Germany usually when the topic was on Homeopathy out of thousands of med students only 4 or 5 people would show up to the talk by whoever was covering Homeopathy. When Herbert Sigwart presented the first year on his work in a hospital...as intern that treated terminal cases he ended up having over a 1000 students want to come into the room, so the talk spilled into another room and then another room....the next year it was Ulrich that presented and by then the interest was there and so he too had a large crowd. They basically had plastered campuses and all over the Congress town with flyers to outreach for their talks - not waiting for the organizers to just do what they normally did, which was to list topics and then students would just attend. Herbert shared this story and more upon meeting him. I think it is representative of how the whole Narayana story goes - they start with an idea or action and it grows with them never knowing how it will turn out other than they must run with it to see what unfolds - like a flower that needs to open up from the bud to be a whole bloom that can pollinate and make more plants and continue forever growing and speading so as to be a whole field of lovely wildflowers. So, once finished med school instead of practicing as doctors the founders opened up their clinic in Kandern and have not looked back since - the pics I took has their plaque on the door and it is just next door to the Publishing House entrance...what happened next is cool. Welte's colour book was their first foray into publishing as they wanted to get the colours in this System made up by a publisher but were told it would not be possible to do in quality they felt essential to make sure the true colours were shown - so they set up shop to self publish. As well the boys were importing books from B. Jain in India to read, ironically again, in order to learn Homeopathy - they ended up importing books for all the interested students of Homeopathy (remember the 1000+ that spilled out practically into the streets)....so, bit by bit the basis of what they did expanded. I will get the data on the first few books they printed/published as Herbert told me all the details but like with my picture taking I was eating apple strudel so did not write notes with info to share with you all. One day will do up all the info for you in a nice and neat package. The other two Publishers are also the siblings of Herbert and they are Katrin Sigwart and Jürgen Sigwart...they are instrumental in the day to day operations of the whole enterprise like Herbert and Ulrich. They truly are a unique bunch of people. However, what I am most impressed with is that they are caring of their staff - that has grown from themselves and a few others to pretty recently 60 on their team. As well, they are growing Homeopathy and are giving back to the profession constantly and never taking more than their basic share so as to share with the world what they are nurturing....be it, Agrohomeopathy, or Interhomeopathy and Spectrum, books they see as clinically relevant and ones that need to be kept in circulation, etc....all the juicy details on these projects, how they evolved and more coming up another time. 3) So, now onto the Congress! Firstly, to say I will only go into my cursory impressions at this time (still working on some cases/just took a few before or returning from flying off and have to put my nose to the grindstone on them - Marble or Diamond Immersion for one and a toss up on another between Lac felinum and Taxoplasmosis Nosode - tx Lou Klein for your work on this rx so can be in our repertoire).....so, you will get just my first thoughts as they have been floating in my head over last few days cause a) Deborah Collins, editor of English Interhomeopathy will do a review for Spectrum coming up soon and b) also you will get more details coming out of this great Congress in "pages" of Interhomeopathy. Also, I will share my experience soon of the presentation of Michal Yakir in this blog. So, let's see: Line Up was great -- see Website re- program, details on what was the focus for each presenter within the broader topic of Mental Health - there is video footage for some as well from previous talks, etc. You will want to get the DVDs of either individual speakers or the whole package - I will be getting it since my seminar notes got sparse (was I busy eating something, I did have some good real licorice in my bag, but it was more having a laptop on my lap. It was hard balancing act and so might have just sputtered out at the end of some lectures....I will, therefore, only do the first day as well (Plant focus by chance - my new big learning area that I can not get enough of). I will touch ever so slightly on Day 2 and 3. My first comment is really a question: What seminar have you been to ever that is one issue with so many different perspectives from classical (i.e. - unabashedly, Mr. Master wins here) to modern (i.e. - Scholten but others can be placed there, like Sankaran naturally) and everyone in between (i.e. - Hardy and Gandhi fit here right down the middle for me with all others falling at various points along the continuum with some jostling about, lol)? So, my point is that you probably have not. In fact, for me just observing the presenters mix and mingle was really what was interesting as it is always cool to know they are continuely learning as we are....and what better way for them to have the opportunity to converse with each other and incorporate new perspectives into their own than on a vacation in a nice village after seeing each others cases. With them expanding their knowledge means that they grow their ideas and share with us, their students and readers. A nice side effect of a Narayana Congress. One thing that I personally got out of it - the general learning from all the combined speakers/cases was that with each patient we will have sitting in front of us in our practices it must be assumed that no matter how far down the road they are of what is considered mental illness they can be helped; the method will be whatever is appropriate to the case at the time. So for instance, I believe that in almost all the presented cases nearly anyone of the Homeopathic speakers would likely have had curative results and even would have done so with their "own" remedies. This is perhaps a far fetched scenerio but stay with me - what I am getting at is not just the concept that the relationship we have with our patients is half the cure. But, also the other point I am making is that different modern methodologies are all overlapping really - with some having the capability to be superimposed on top of each other while some are driving at the same thing, which is to address what is at the deepest level of the state (be it the "Sensation" (you know who I am talking about), be it a resonance with a psychotropic drug (reference to one of Klein's cases), be it the problem in the case (Schotlen) or where the patient is stuck in being birthed, that be a Mahesh Gandhi case exemplifying the Carbon Row of the Periodic Table, etc. Day 1 in Order of Appearance. Jan Scholten. His presentation was what he has been presenting to the Homeopathic World now for a few years. In years past he was continually illustrating his thougths on Plants by way of casework and emerging Themes on the Plant Families - what we are now seeing in the "pages" of Interhomeopathy. i) Acorus calamus, or the Acorales Order of the Lilianae Family. If you read my piece on Scholten Plant System you'll get what this number is: #63111.01. ii) Typha latifolia, Bullrush/Cattail, also of Lilianae and it can be a DD with Bromium and Lithium. #63341. iii) Eccremocarpus scaber or the Chilian Glory Flower/Vine and this is #66565.09. With these cases Jan gave a running commentary to expand on what his System is about/how works and what he viewed as relevant in the cases, so, the problem in the case (why there was pathology). Themes were seen and such but really always boils down to his Phases (recall there are 7 if you read my previous piece) that are about where a person stands in relation to the grp/family/society, etc - are you in or out? There is an emphasis consciously to look at family of origin and how fit was there. With other's they all got that information in the case but they did not always talk directly about it in their case analysis...some did as well. Next, on the first day, we had Rajan Sankaran. Ta Da. He was totally great as well. For many it was also a first exposure to him in person but many I think were informed of Sensation Method from his books - I read everythg that comes out as it is glorious reading in one's spare time, soul nourishment for so many of us. Mind you, it seemed his books were selling like hot cakes during the breaks, especially from the German book tables...the English ones too for sure. For me, having attended him in the last several years and especially at a Seminar almost two years ago in Toronto we saw him beginning to get back to his roots/emphasize the foundation we need to be mindful of while still exploring with Sensation Level, (5 in his 7 Level System). It was good to have reminder so as not to get lost in the Sensation Method as one can in a patient's case;-) He talked on how without the "synergy" of 3 essential facets one is not practicing in the broadest manner possible: the Genius - that be the generals, pace, pathology and modalities - and the Symptom - that is characteristics, rubrics, keynotes and proving information including toxocology - and lastly, the System - here you get to Sensation, but also Source, Miasm, Level (of his 7, like Delusion, Fact, Emotion, etc. )....so, really what saw here was more of a cross over or affinity of Sensation Method and what I tend to use more, Scholten and then MM of Mangialavori and Klein, etc. (with the latter also being a Technique or Method for myself - will one day explain Component Circles and their use in case analysis). His cases, like Scholtens were beautiful and as far as Mental Health, what was emerging was really the extreme states of Remedy pictures as such. So, for instance, he showed us cases of what one can consider basic remedies but at the same time throughout he pointed out his thinking as we went along with the video footage. In a case of Lilium tigrinum he gave us his thinking on a young woman of 22: Kingdom (Plant), her Miasm (Sycotic), and how the main Delusion of this remedy was instrumental in finding the remedy for her clinical case of her suicidal depression. The main Delusion was framed well and this case was highly illustrative of it in full blown play: Fear of obligatory morality alternating with sexual excitement. Note- here we see that Sensation is not only way into a case for the man himself. Incidently he had a great Lac-asinum case of a male, age 45 that had Schizophrenia. Let's see, on the same day (Of Plants more than the other days) we had a teaser by one Michal Yakir who has broken into the scene of late - that is she is now getting known more widely as she has made her work of the last 10 to 20 yrs available with a plasticized chart and booklet/two seminars outside of region...including this one. She too has a Plant System - and it compliments Scholten and Sankaran's work and she credits them for helping her, esp Scholten for helping get her clinical findings and work as a Botanist into a form that could be a Table, not much unlike his Element Theory - she likes an axis and so do we! It certainly is better to have a chart that you can refer to and at the same time read for an expansion of it or have the theory/MM and then glance at a chart to visualize your patient in relation to other developmental Stages or Rows so you can compare them to others you have seen in practice/read in cases and then pin point exactly what they are about. She will herself publically get the word out on her work as Guest Editor for Interhomeopathy in a couple of months....she is lovely and her presentation was very well received as it was utterly fasinating and just plain brilliant. What we like to see in our teachers! Her cases were given to us verbally and she read the words of patients and filled in details but given she was actually an add on as Narayana had just discovered her as of late she only had an hour so we only got one axis of her Table...the Columns - 6 of 'em...so, there was more or less a case per Column and really just summaries to illustrate the Theme/idea of the Column...and to give you a teaser, her Columns are based on Human Evolution on the level of world culture/history as well as Ego Development in the individual (not to be mixed up with the Developmental Stages of Rows, 9 of 'em, that are based on the Psychological work of Erik Erikson.). Her First Column case was one of 57 yr old woman that was Aristolocia clematitis (this Rx intersects in her system with her 4th Row - Early Childhood - totally makes the case and Rx come alive and have meaning once placed on the Table, just like the Minerals once they are placed in relation to each other on the Periodic Table...so, so cool). What comes out with Homeopathic classification of the Plant Kingdom is that we simply can not prescribe without an ordering of the Plant Rxs - we would never get at the patient's remedies without the work that is going on at present. So lucky it is happening in our lifetimes. On Day 2 and 3 all I can say is AWESOME! I was particularily thrilled to get a sense of the work of Jonathan Hardy of the UK because I last summer I had read the Spectrum issue on Cats and Dogs and loved his work on the Big Cats in there. And so to see one of his Lac-leoninum cases, a young man from a small community in England somewhere that had no longer any contact with his mates - his male buddies...A most excellent portrayal of the remedy. He also had two cases to share using Matridonal Rxs...from one of my fav's: Melissa Assilem. A young girl that had a mom that was really in a state and with Umbilical Cord came out of it - thk the daughter got the Rx, based really on mother's state, an imprint big time! The essence of the Rx is well stated by Hardy : your sacred inner heart is pulled from you. Umbilicus humanus in a very poignant case was just a beautiful to watch unfold and with the charming commentary of Hardy one felt that one was birthed into the world effortlessly - truely an artistic prescriber. The other Matridonal Rx was a case of Amniotic Fluid with a 4 yr old Autistic girl. Indeed it was beautiful to behold the art and science of Homeopathy in this case as well. Just wished I had thought to ask him if he believes a follow-up Rx would be needed at a later point in time with this young patient of his...very good case to illustrate as well the state of the mother influencing the child in vitro. Jonathan Hardy is working on a Mammal book - this is on already on my Wish List, now if we could just induce him to birth this one;-) You will notice that he is one of Britian's top Homeopaths - this was my big learning as far as a new Homeopath to be on the look out for in journals. I would love to go on as Mahesh Gandhi and Louis Klein were so great for me as well, but I think you will have to just await Deborah Collins with her perspective in a future Spectrum. I hope to experience Gandhi again as he was new to me and was refreshing in so many ways - if I do, promise will do a piece on his seminar/work. However, just to tease you a tiny tiny bit more before I finish up this piece on the Congress I will mention he did a whole whack of cases on OCD - unlike the previous year's Mental Health Congress with cases of schizophrenia. He used cases to illustrate the Rxs of the Carbon Row and they were clearly and concisely presented so as to make it all seem so simple - that we can do it ourselves!! This is the gift of a good teacher: to make it seem a possibility for us to put what they show us into practice. This is what I have received as a gift from my teacher nearer to home, Louis Klein. Klein's presentation had very, very complex cases, but by talking through his case analysis again there was a glimmer of hope to be able to dis-entangle very messy situations of Psychiatry patients that are on vast quantities of medications - what, as Lou pointed out, we see more and more of with those labelled Mentally Ill here in North America. So sad and a mess to clean up - again, more in future on Louis Klein's work in this regards and more. One last thing: we got a beautiful Orchid case and also a Plant that was presented by Scholten on our shores, the Black Mangrove (after being cleared of resonance or the imprint of psychotropic drug picture. Was situation of treating side effects of side effects and the "true" picture was practically lost as the narrow responses of the patient, if I recall accurately, were limited and were really just about the pathology - hard to see a picture that reflected the disposition of the person. She totally suffered from insomnia - never slept, period. Tough job of it when we get full blown pictures that have the sxs masked). So, now I must really get down to business with a young girl that came in with her twin brother to be treated and also a new case of a man that recenlty developed narcolepsy who is now out of work due to not being able to drive. I am reading the above Shah book on the 2nd Series of the Periodic Table as a means to understanding my little girl case - is she one of these Rxs and if not then I will only be closer to a clearer picture of her essence as the book is beautiful beyond the Rxs as it is about getting the core of the case. Interestingly he is a colleague of Gandhi and they both of Rajan Sankaran, fellows of the Bombay School. One thing that is interesting with this book and Mehesh Gandhi's presentation of Carbon cases is that they actually did not touch on Sensations in the cases and, instead, positioned the patients in relation to the PT and dug into the problem of the case for the patient, more like Scholten style of case taking and analysis, but with the stated emphasis on Mineral Kingdom traits that were evident in the cases more than what Scholten himself does in seminars about his Mineral cases. Yes, we have our work cut out for us and we must always be at our best to work till we get the best Remedy that we can. As I mentioned earlier on, anyone of the presenters would be able to get to a correct remedy. Well, I now feel upon reflection of what I got from the Congress is that anyone of us can get to a correct remedy for those we see. The caveat being that we must get the case...Mentally Ill or not. It must be what we are always doing - getting into the head of the person and fully grasping their existence on the planet (or not, in the case of those in Stage 1 or Column 1)...It will be no surprise if going to this Congress doesn't help me to get at the remedies for these most recent and all future patients that come my way. No doubt in my mind. I would highly recommend that you check out one of the future Congresses that Narayana hosts. They simply are not to be missed - make your pilgrimage to the Black Forest of Germany...into the core of the State of Homeopathy! 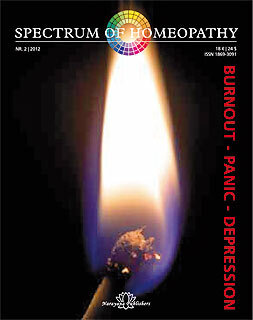 Do, remember that the Mental Health issue of Spectrum will be a good read in the meantime to get you on track with patients that are anxious, depressed and burnt out....the opening Editorial sets the tone to assist you to view the health of our minds, bodies & souls much more broadly so as to consider sxs in the case as ones that can lead a patient down the road to what is deemed as being Mentally Ill - after all we live in insane times and why wouldn't sensitive Plants, falling apart Minerals or fearful Animals need their remedies. As they say, Keep on Trucking or a little more to the point, Stop the Insanity. To close I will share a link to beautiful piece by an American Homeopath who is now showing up in Interhomeopathy. I read this at the start of my foray into Homeopathy and it set my course for the kind of practice that I envisioned for myself and my patients: http://www.homeopathichealing.org/art4.html This is from Homeopathic Links 2003 and is by Doug Brown on Homeopathic Treatment in Mental Illness. Enjoy.